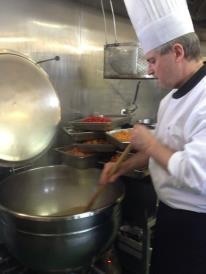 now that Gordon has finally returned and settled in Dunedin he is bringing out one-by-one all these recipes and “know how” to serve at bbcatering… the guests love them and they are asking “where can we buy some”…. 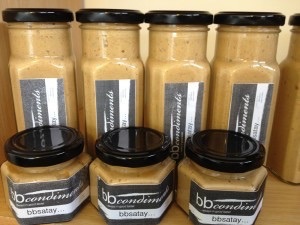 so, there you have it… bbcondiments is born! In a solid base pan, sauté the diced onions until soft. Add the garlic and the paprika, chilli flakes, cayenne, ginger powder, pepper and brown sugar while stirring. Add the fish sauce and lemon juice. Now add the coconut cream and bring to the boil while stirring. After it boils for a few minutes whisk in the peanut butter. Your sauce is now ready to serve as a condiment with almost any meat or seafood. Why don’t you try it with a crudité type salad with the addition of boiled eggs and fresh pineapple.